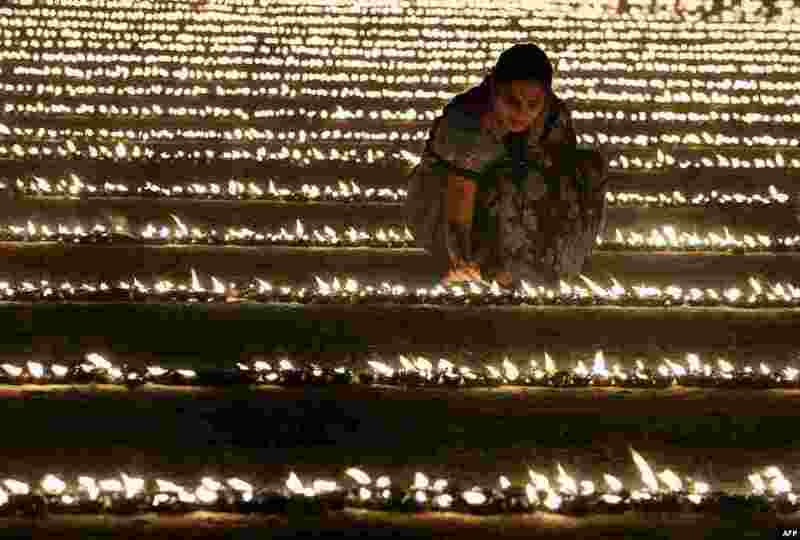 5 A Hindu devotee lights oil lamps as part of "Laksha Deepotsava" (celebration of a hundred thousand lights), during the Makara Sanranti Festival in Bangalore. Makar Sankranti is a festival celebrated in almost all parts of India, Nepal and Bangladesh in many cultural forms. 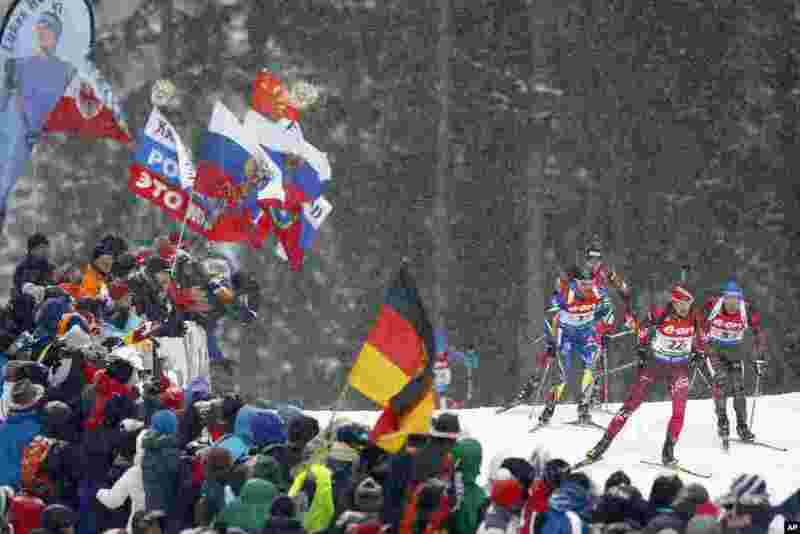 6 Latvia's Andrejs Rastorgujevs (22) and Germany's Erik Lesser (5) lead a field during the men's 4x7.5 km relay competition at the Biathlon World Cup in Ruhpolding, Germany. 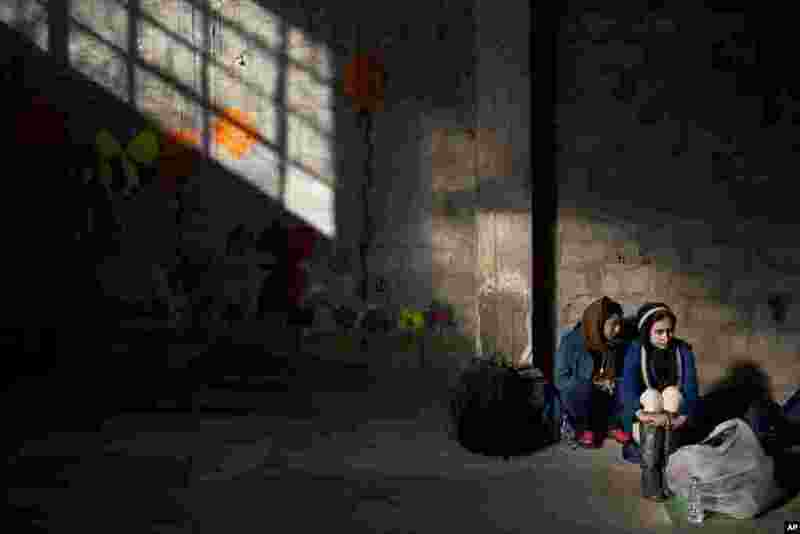 7 Two Afghan young women wait to be registered in the Tabakika registration center. Thousand of refugees and migrants continue to reach Greece's shores despite the winter weather. 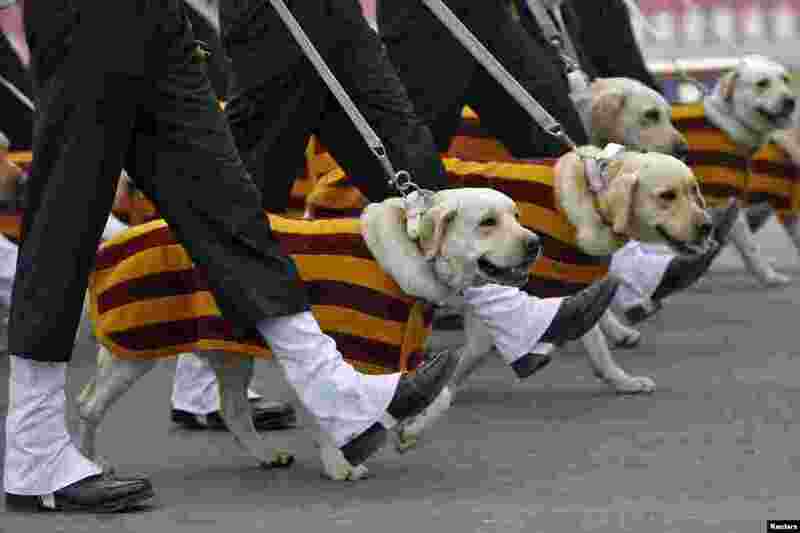 8 Soldiers march beside their dogs during India's Army Day parade in New Delhi. India celebrated the 68th anniversary of the formation of its national army with soldiers from various regiments, and artillery on display.